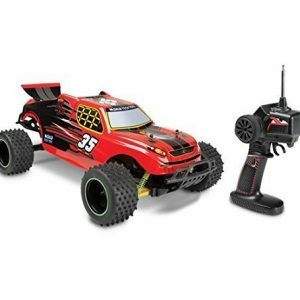 2.4GHz radio system ready to race. 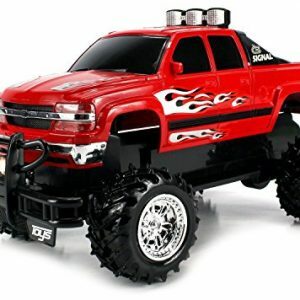 Full proportion 1/12 scale 40Km/H high speed monster truck. 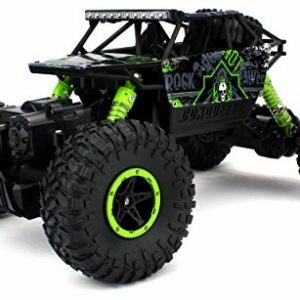 60A large power circuit system and high temperature protection system of blocking the rotation. 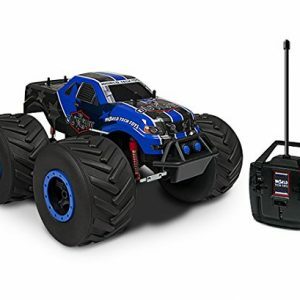 100 meters control distance. 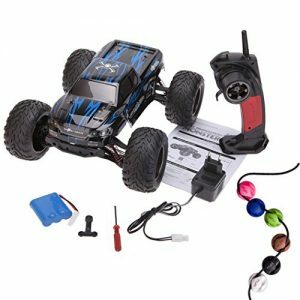 PRO 2.4GHz Radio Control System for Uninterrupted, Interference-Free Driving, Race Multiple Cars at the Same Time, Body Color Striped Wheels with Premium, Semi-Pneumatic, Off Road Oversized Tires! 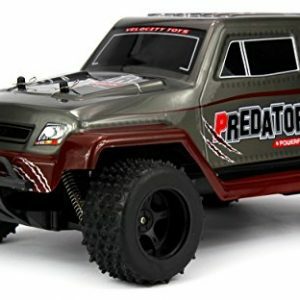 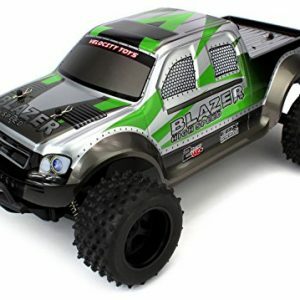 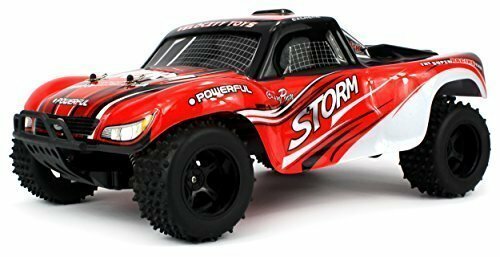 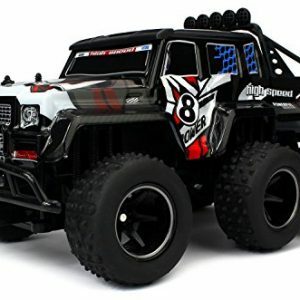 High Performance RC Truck, 1:18 Scale Size, Perfect for Outdoor Use and Racing, Pistol Grip Remote Control, Working Independent Off-Road Suspension with High Strength Shocks & Springs!